Our vision seeks to subtract the suffering of social inequality by adding a smile and many. By Giving them who don’t have, we Take from them lots of ‘dil ki dua’. To build a world with equality of opportunity indifferent to class, caste, sexuality, and status. Education and empowerment are the twin poles of self-development and personality building. Smashing stereotypes and tearing taboos is our mission for an ever-smiling world. Leadership: Instilling the drive for change to produce a holistic individual. Integrity: Firm principles behind a strong personality to create impact. Permanence: Preparing sustainable plans for long term development. Collaboration: Via outreach and partnering, we aim to get the young connect going. Accessibility: Not believing in hierarchies, we promote open interaction. 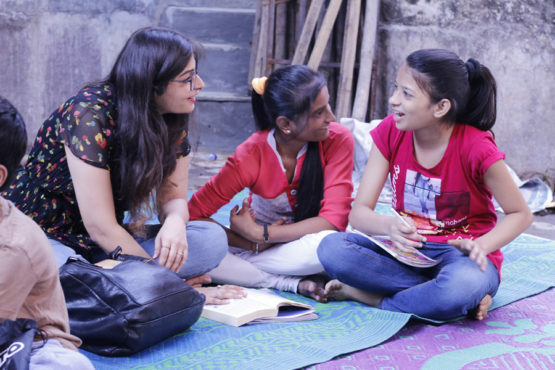 Uniqueness of Approach: To Tackle common social ills in our hatke way. Encouraging Subjectivity: Accepting personal and professional differences to make new friends.